Read these 10 tips to increase car mileage. Apply these easy mileage booster tips and save money on fuel! Nowadays, public sentiments are very much attached to the fuel prices. Every increase or decrease in the fuel price swings the moods of the car owners. Since our daily routine is very much dependent on our vehicles therefore the only way to battle with the rising fuel prices is to drive economically. So, here we have listed down 10 proven tips to increase car mileage, let’s check them. Your car’s fuel efficiency is to an extent related with the tyre pressure. When the tyre pressure is low the contact area between the tyre and the road is increased which results in higher friction between the road and the tyre thereby resulting in augmented fuel consumption. On the other hand, tyres which are over-inflated will no doubt consume lesser fuel but would definitely compromise on the safety aspects as the tyre grip will be reduced and the water dispersion capability of the tyre will be severly impacted. Therefore, ensure that your vehicle tyres are always inflated at the recommended tyre pressure levels. It is advisable to get the tyre pressure checked once in a week. Treating the brake pedal and accelerator with respect is not only regarded as an ideal driving style but it also helps you gain better fuel economy. A rough speedy acceleration means that the car engine runs at higher rpm levels thereby consuming more fuel. Accelerating hard and then sudden braking is even worse as the energy to run the vehicle is consumed more aggresively and the entire amount of energy gathered to run the vehicle gets wasted when brakes are applied all of a sudden. Particularly in slow traffic conditions, you must try coasting the car as much as possible and maintain a safe distance from the cars running ahead of you to avoid situations like sudden braking or heavy acceleration. Excessive usage of clutch wastes a lot of fuel, therefore, use it only when required. While driving be conscious and check that you aren’t driving with the clutch pedal pressed. Even a slightest pressure on the clutch pedal will keep the clutch components functioning thereby increasing the fuel consumption. Turning off the car engine at red signals is another great way to increase car mileage. But a very few people are aware of the fact that turning OFF the engine is beneficial only when the traffic signal is longer than 30 seconds. If the traffic signal time is less than 30 seconds, don’t turn OFF the car engine as the car will consume relatively more fuel while starting the engine. If you are planning to buy a new car, prefer buying a car that has engine start/stop button. Nowadays, manufacturers like Mahindra and Maruti offer cars that have fuel smart system with mirco-hybrid technology. This technology automatically turns off the engine when the car comes to a halt and clutch pedal is released, and when the driver presses the clutch pedal again, the engine automatically turns ON. 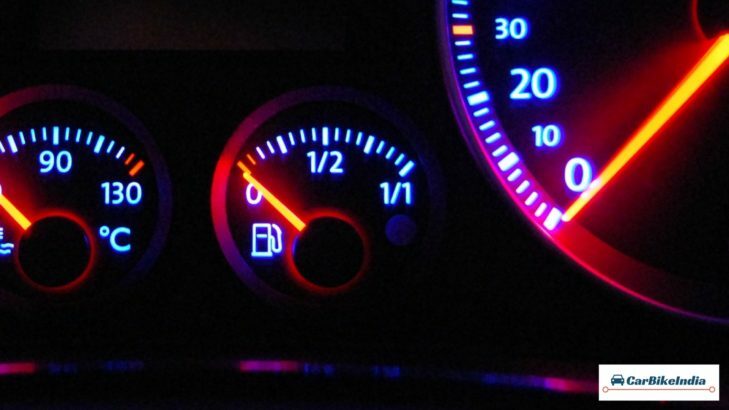 Cars with this feature reduce the fuel consumption by a huge margin. Another hack to increase car mileage is to keep the windows closed. Driving with AC turned ON and windows closed allows the car to run effortlessly on roads without any air-drag. When the windows are open, there is air-drag due to cross ventilation which requires more energy to run the vehicle and leads to increased fuel consumption. Make sure that you keep the windows rolled up next time you are on a drive. To save fuel Google Maps can turn out be a miraculous app. Just before you leave for your office or for a trip, don’t forget to have a look at the best possible routes on Google maps. This will help you avoid delays due to traffic and congestion. If you’re a daily commuter, it is advisable to leave before rush hours start. To increase car mileage, it is always good to drive at the highest possible gear. At higher gears, the engine rpm is reduced which also decreases the fuel consumption. When you drive at lower gears the car consumes more fuel. It is always recommended to go for a short shifting and then moving up to a higher gear as soon as possible. While shifting down avoid pressing the throttle. It is always advisable to keep the car boot as empty as possible. Remove unnecessary items from the boot and other storage compartments. Remember, heavier the car, more is the fuel consumption. Aftermarket fitments like bull-bars, roof rails and luggage carrier also make the vehicle heavy thereby increasing the fuel consumption. Be it highways or city conditions, try to maintain a constant speed. This technique will put less burden on the car engine and reduce the fuel consumption. Cars with cruise control feature have a great advantage on highway conditions as the vehicle can be driven at a constant speed effortlessly which ultimately leads to cutting the fuel consumption. Timely maintenance of your car helps you in maintaining the fuel efficiency in long run. Make sure that your car is serviced as per the car manufacturer recommended schedule. The cleaning and replacement of air filter and oil filter should also be done as per the schedule as these filters have drastic impact on the vehicle’s fuel economy.